It’s the final few weeks of the year and most of us are focused on all the stuff we have to get done for the coming holidays. There’s shopping, cooking, planning, travel, parties, and creating “strategic avoidance plans” for people you’d rather not see. I used to treat December like the night before a big test and try to cram in everything I didn’t do in the previous 11 months. As a result, I’d often dread December and the holiday. Even though the Christmas season is my favorite time of year, I’d get depressed, burnt out, and frustrated. I just couldn’t enjoy it. The end of the year can be a difficult time for many people. For others, it can be a time of reflection that helps them pave the way for a successful new year. I want you to make it the latter. I strongly believe that waiting until sometime in January to review the past year and prepare for next year is too late. January is one of the best months for achievement because most people are in a state of action and excitement. You can use that to your advantage as long as you’re also ready to act – and planning is not acting. 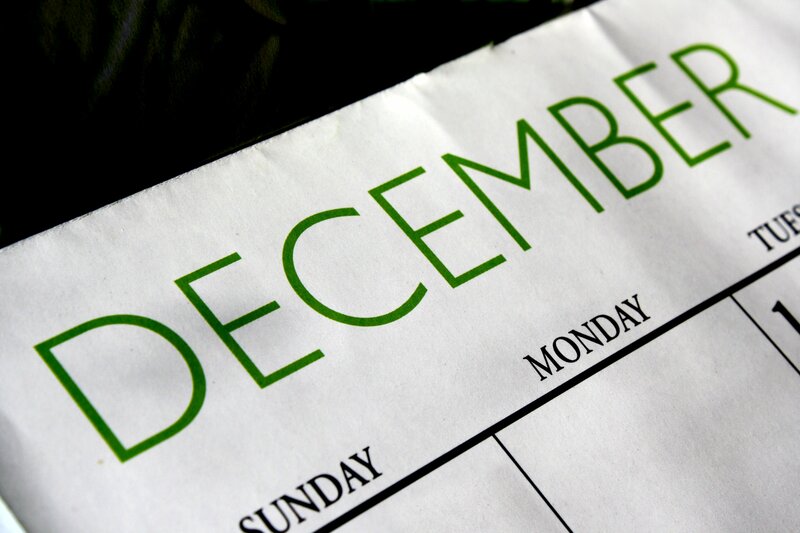 Planning is better suited to December. Why? Because most of us are naturally in a reflective mindset as we think back on the year and talk about it with family and friends. Our minds and bodies require time for reflection and the holidays provide a great time to relax, reflect, and plan for the next year. Right now, I have most of my coaching clients easing off the accelerator and focusing instead on what they learned this year and what they can do to setup next year for bigger and better things. This doesn’t mean I don’t want them doing anything. Far from it. It just means that I don’t want them cramming to get done in one month what they didn’t get done in the previous eleven. I’ve written out 30 questions that you can use to help you evaluate your performance over this past year. Nobody will see your answers unless you choose to share them so, for your own sake, be honest with yourself. Don’t use this as an opportunity to beat yourself up though. Lying to yourself and kicking yourself in the gut are two things that never help. What Are Your Year-End Questions? Which of those did you accomplish? Which did you not accomplish? Realistically, can you still accomplish them? What did you do that worked? What did you do that didn’t work? What should you have done differently? What should you do more of next year? Who was a positive influence on you? What wasn’t a positive influence on you? Are you as far along as you wanted to be by this point? Did you have someone to keep you accountable to your goals last year? Do you have someone who can keep you accountable to your goals next year? What resources are you lacking to accomplish your goal(s)? Who do you know that could help you obtain those missing resources? Who or what have you been blaming for not reaching your goal(s) rather than taking 100% responsibility for them? List any areas you gave up on too easily. List any areas where persistence helped you reach a goal. In what areas did you have a plan? In what areas did you not have a plan? In which of those areas did you accomplish more work? Did I spend most of my time reacting to external stimuli or proactively determining what I wanted to work on? What were my most common excuses for not hitting my goal(s)? Time, money, resources, etc.? What steps can you take to fix those areas and prevent them from becoming excuses next year? Were you doing what you love? Finally, share your BEST year-end questions in the comments below with the community! I’d love to hear them and I’m sure others would too!